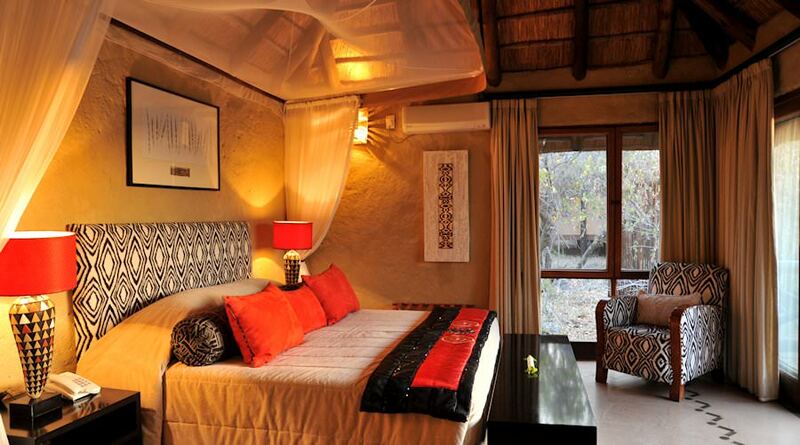 Lukimbi Safari Lodge provides five star accommodation in the Southern Kruger National Park. 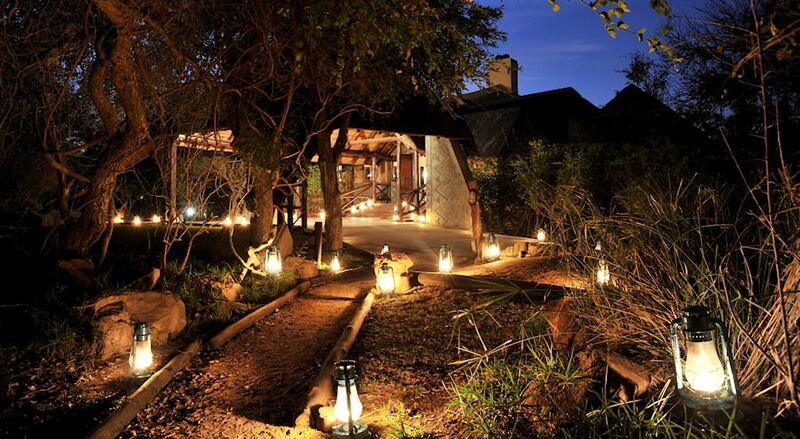 Lukimbi Safari Lodge offers the perfect venue for a luxury Kruger Park safari. Situated in the southern region of the Kruger National Park, Lukimbi Safari Lodge has a unique open architectural style that will draw the visitor's gaze to the African bush that surrounds it. The decor and design makes the guest feel at home whilst providing a feeling of sanctuary from its raised position above the Lwakahle River. 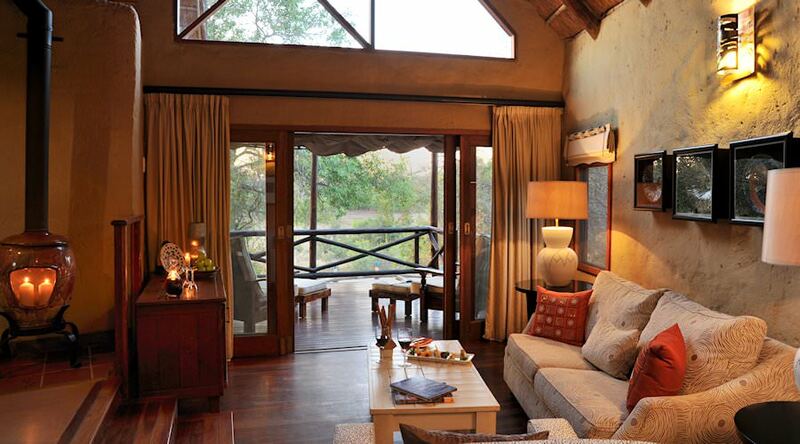 This safari lodge has 16 magnificent suites that can accommodate 36 guests. 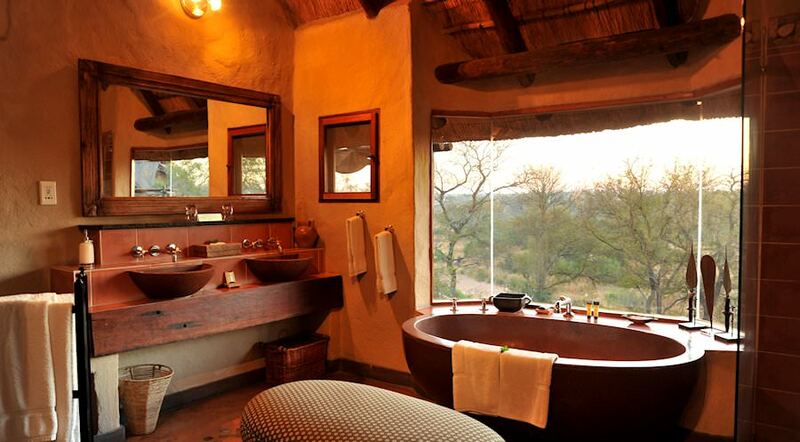 The Giant Owl and King Cheetah suites have two bathrooms and their own private pools. Children over the age of two can be accommodated with a maximum of six children at a time. 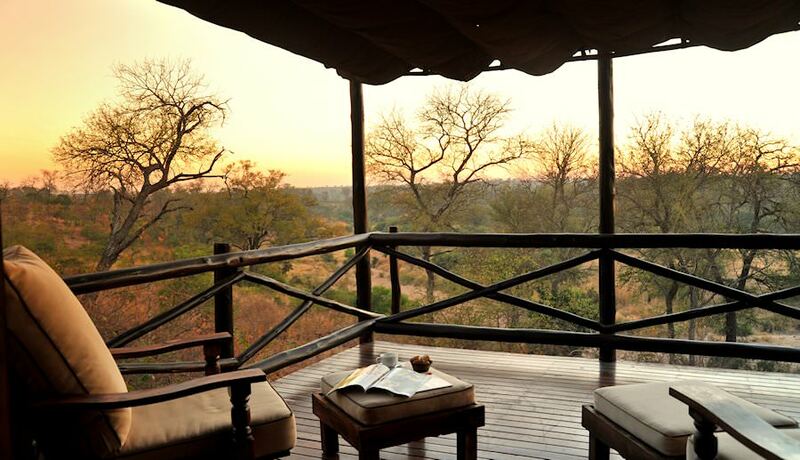 The suites all have unrestricted views of the Kruger Park that will enrich the visitor's experience during a stay at Lukimbi Safari Lodge. Mealtimes are spectacular in their presentation and quality, prepared by the resident chef and complemented by the selection of wines from the wine cellar. Guests may enhance their luxury safari at Lukimbi even further by making use of the gym overlooking the river, the health spa, swimming in the main pool, finding an interesting book in the library or participating in game drives and walks in the company of experienced guides. Guests fly to Nelspruit from O R Tambo International Airport in Johannesburg and are transferred to Lukimbi Safari Lodge for their Kruger National Park safari. 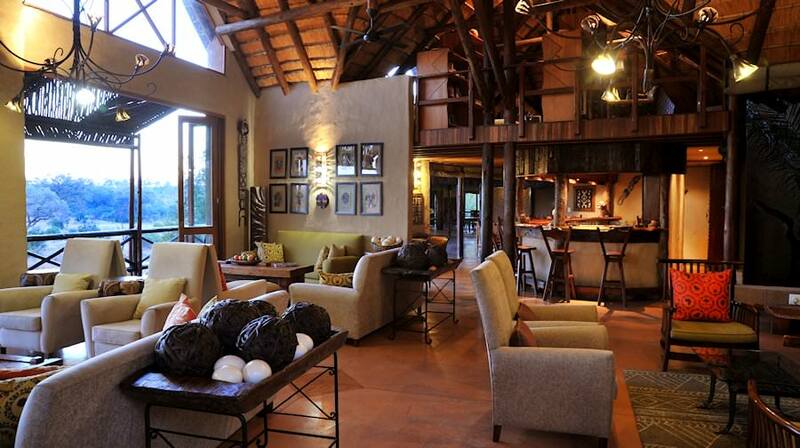 The lodge is nestled within its own 15 000ha concession, which means exclusive Big Five game-viewing. 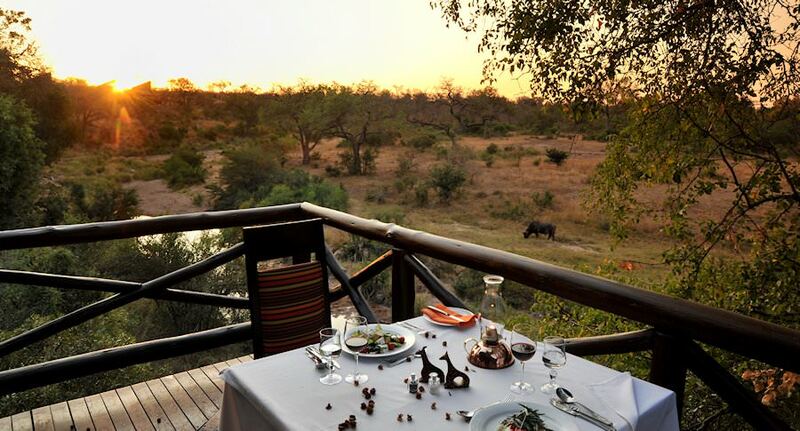 Each mealtime is unique in location and gourmet fare, from breakfast in the morning lull of the bush to the roaring nighttime fire of the rustic outdoor boma. Indulge your taste buds with Lukimbi’s fine selection of award-winning wines from its in-house cellar. The lodge's open-air Land Rovers provide the perfect perch for typical safari game-viewing. The lodge’s knowledgeable guides and trackers ensure unforgettable Big Five encounters. 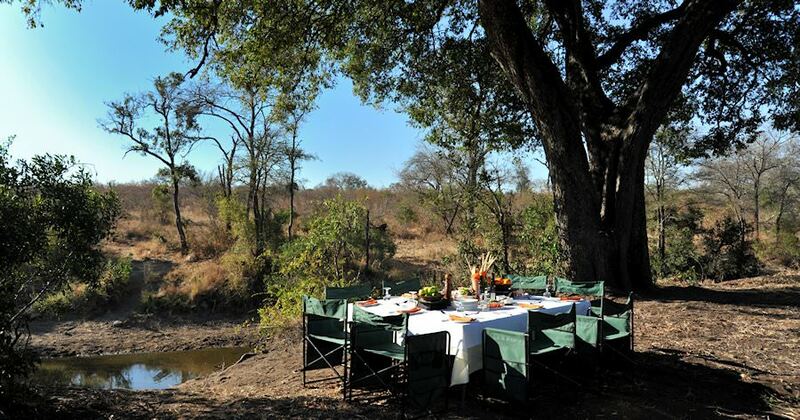 For a more intimate wilderness experience during your safari, participate in a morning or afternoon bush walk. If this does not satisfy the explorer in you, the lodge also offers full-day walking safaris for the ultimate bushwhacking excursion. After a long day on foot, opt to relax in the spa with a ‘bush spice’ or ‘hippo back’ massage. 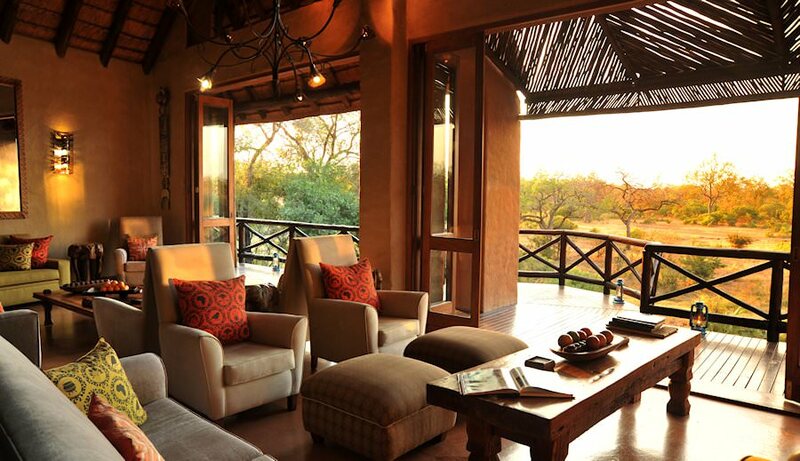 Lukimbi is one my favorite lodges in the southern Kruger National Park. 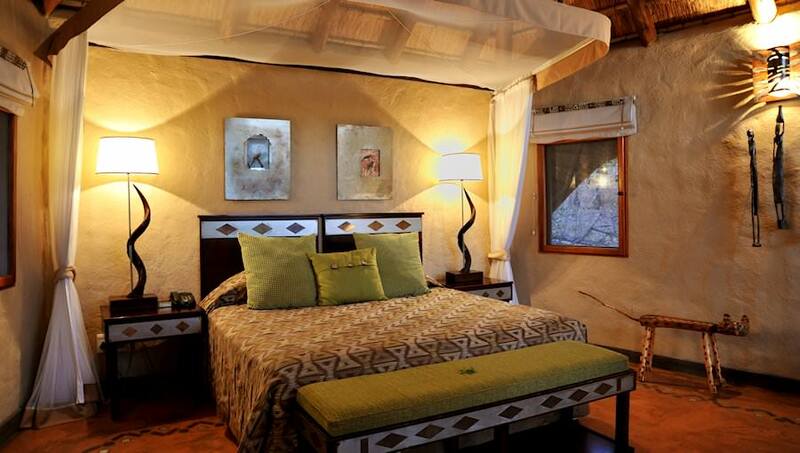 The lodge offers five star accommodation and great safari experiences in an area with very high game concentrations. South Africa is an exceptional safari destination, offering great value for money. Botswana is a wild paradise of immense wildernesses and ample wildlife. Do not be fooled by Namibia's arid appearance - wildlife thrives in this desert country. Zambia's national parks may be remote, but the safaris are truly worth the journey. Zimbabwe is popular for the dramatic occurrence of the Victoria Falls. Mozambique safaris typically include beach and island-based adventures. The Kruger National Park is Southern Africa's most diverse conservation area and renowned for its safari opportunities. The luxury safaris we offer will transport you to remote wilderness areas with astonishingly lavish lodges, like the Okavango Delta and Sabi Sand. The Big Five are renowned as the continent's most impressive mammals, from the fearsome lion to the majestic African elephant. 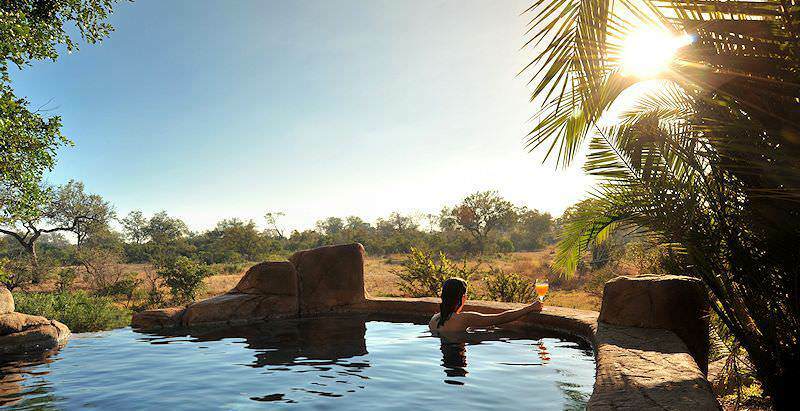 The African lodges that feature in our itineraries have been selected for the quality service and stunning locations.